It's a common misconception that canned food is unhealthy. Canning actually began in the early 1800s as a safe way to preserve perishable foods. Over the years, the canning process was perfected and today, we think of canned food items as convenient options for busy work nights or quick meals. While you may already know about the health benefits of canned sardines, there are still many myths out there about canned baked beans. 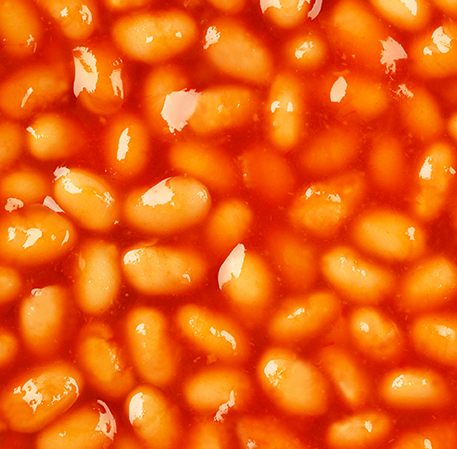 Here, we answer your frequently asked questions about baked beans. Yes! Canned food is not just convenient but it can also be healthy and nutritional. Ayam brand baked beans are made of non-GMO Great Northen Beans, directly imported from the USA. Unlike the small navy beans used in other brands, these beans are premium and big in size. What's more, they pack a nutritional punch as they're high in fibre. Fibre is essential for good digestive health, and consuming Ayam Brand Baked Beans can help meet your fibre needs. A 100g serving of Ayam Brand Baked Beans yields about 4g of fibre, which can go towards the daily recommended intake of 25g for adults. Moreover, beans are a great source of protein. Beans such as the Great Northen Beans used in our baked beans are high in amino acids, an essential ingredient in building protein. Protein is important to our diet as it helps us build muscle, aids in muscle recovery after excercise, and keep our body functioning well. Instead of the usual protein sources such as meat and fish, Ayam Brand Baked Beans are a good alternative for those times when you need a quick meal that's high in protein. 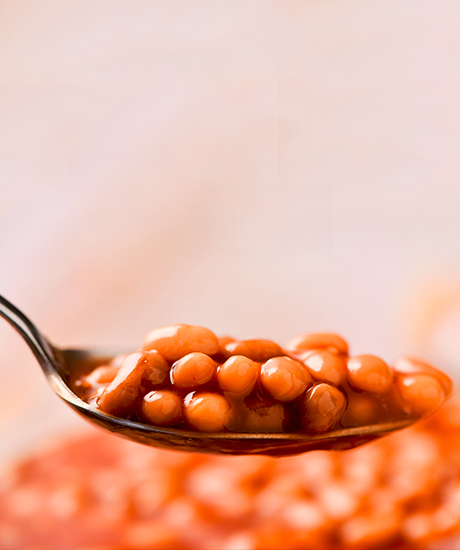 "Can I Eat Baked Beans When I'm Trying To Follow A Healthy Diet?" Yes, you can! For the health conscious consumer who still loves the affordability and convenience of canned foods, you'll be pleased to know that Ayam Brand Baked Beans comes in a "light" version. In this way, you can enjoy the high fibre and protein content in the baked beans, while also reducing your consumption of salt and sugar. 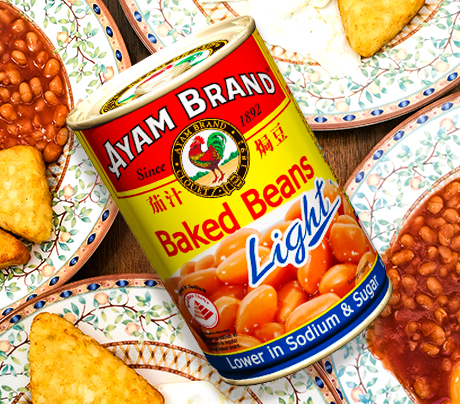 Go for Ayam Brand Baked Beans Light which is low in both sodium and sugar. Our tomato sauces in this version has 50% less sugar!